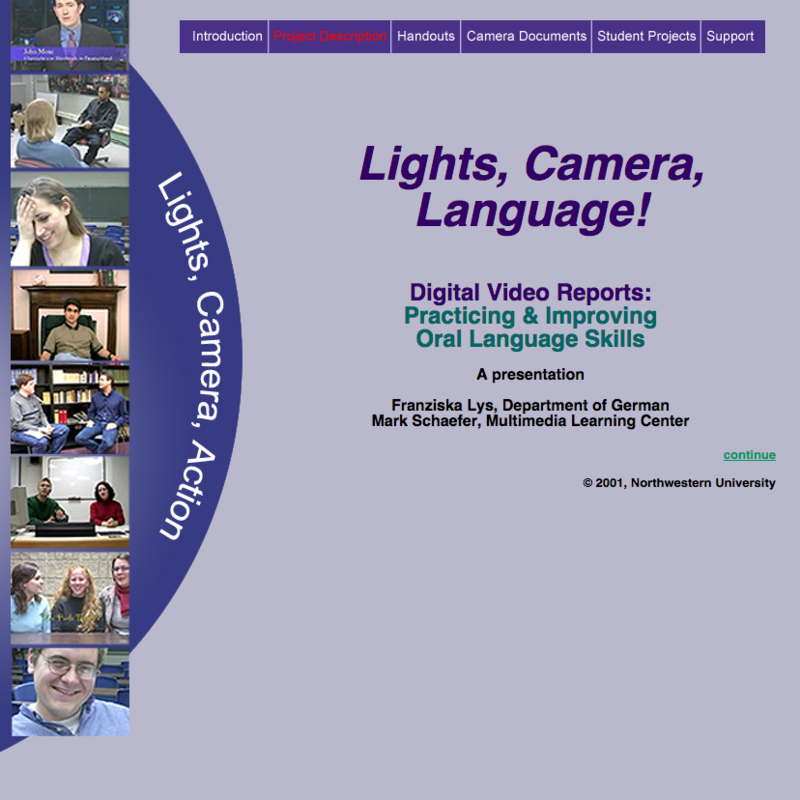 “Lights, Camera, Language!” is a recurring class project featured in German Advanced Conversation classes. Franziska Lys, Assistant Professor of German, and Mark Schaefer, MMLC Media Architect, together created a conversation class that uses video cameras and editing to reinforce language learning. Students are asked to produce, edit, and perform in an eight-minute documentary on a subject of their choice. During this process, they interview native speakers, create narration and on-camera performances in German, and edit these materials togetherâ€”all of which reinforces their language learning.